The mobile marketplace is a vast and rapidly changing area. One of the biggest arguments since 2008 has been native app versus mobile web. It’s time to put it to bed. To companies and brands, mobile web presence should be more important… and native apps come second to hybrid and HTML5. The mobile web versus app argument is old. It’s been going since the launch of the Apple App Store and that was 2008. Six years later and people are still butting heads over it. Do a quick Google search and you’ll find hundreds of articles online where respective sides duke it out to prove they’re better. Years and years of out-of-date articles scream about the importance of native apps and their advantages. That’s exactly what they are. Out of date. With mobile traffic expected to overtake desktop in 2018, the need for mobile presence is more pressing than ever. Mobile already has the majority of e-commerce traffic in August this year and 90 per cent of the Millennial generation say they constantly have their smartphone at their sides. A mobile-first approach to business development is key to success to capture the largest audience possible. What are the mobile web and app options and what do they do? A responsive website is a website coded to respond to a user’s browser window. On load the site’s style sheets will find the browser’s size and scale itself accordingly. In responsive design the levels of responsiveness, layout and flexibility of the design is pre-selected by a designer. Responsive websites are a great format for companies not looking to invest in the separate domain required for a mobile dedicated website. A website design created purely for use on mobile devices. This site exists separately to the main site and will often have a domain extension to itself. When a user on a mobile device accesses the main website, its code will read the device size and refer the user to the mobile site seamlessly. This is a good alternative to a responsive site for those looking for a cheaper option. A hybrid app uses a combination of HTML5 and native coding to enable further native functionality, which allows them access to all native device capabilities. Most hybrid apps are run via the device’s web browser engine without loading in a browser – they’re effectively a web app in a native wrapper, which allows them to be sold in app stores. Native apps are designed to meet requirements for the big four app stores – iOS, Android, Windows and Blackberry. Coded in a single language, they’re unable to be used by other devices and cannot be purchased or downloaded outside their relevant stores. These are what most people think of when a reference is made to a mobile app. They were the dominating force in the first five years of the app stores and continue to be the most downloaded, at least for the time being. Deciding the better option out of such a varying amount of products is difficult. For the sake of simplicity, the definitions have been put into three core groups: native, hybrid and web. In this case, web applies to both web applications and mobile web sites, as they share many of the same benefits. Native apps are, by nature, highly competitive and high-risk. There are hundreds of thousands of apps already present in all app stores and apps in general have a massive uninstall rate. In fact, around 80 – 90 per cent of all apps are used once and uninstalled. Retail apps have the second lowest growth in usage time of all app types. By entering the app market place you will be putting yourself into direct competition with social networks, games and instant messenger applications. Out of the options listed in this article, native apps are the most expensive to develop. Unless you focus on a single app store and OS, you will need to find either a single coder or multiple coders to programme an app for each of the four major app stores. For this reason, pricing can vary wildly. One developer quotes anywhere between USD$600 – $150,000, dependent on requirements. When asked for a quote for an average app the figure is $30,000 – $40,000, with the stipulation that there ‘is no average’. For a cheaper alternative, sites like appmachine.com allow users with no coding knowledge to produce apps via templates. The professional account costs £89 a month, billed annually. A native app will require upkeep and, if you’re wise, regular consumer feedback monitoring. When new versions of your OS of choice are released, your app will almost certainly require checking and updating to fall into line with new specifications and requirements. These changes can often be mandatory and come at short notice. For instance, in December 2013 Apple told developers that all new apps and app updates would have to be iOS7 compliant by February 1st, 2014. If you do not have specific app knowledge as a maintainer, this will mean occasionally bringing in outside help. It should also be noted that not all devices produced for the OS system will be compliant; Apple tends to drop support for older iOS devices as time goes on. This could possibly be part of your mobile device audience lost. As far as revenue is concerned, in 2013 the ‘average app’ was looking at varying income according to store. Your ‘average’ Apple app will make around USD$4000, while a Windows app is much lower at $625. You will also need to keep in mind that both Apple and Google take a percentage of app revenue from its developers. At Apple and Google this is 30 per cent for both app and in-app purchases. Free and ‘Freemium’ app models are by far the most popular app format on all the app stores and see more success than their paid brethren. If you’re intent on launching a native app, think long and hard about what revenue model you’re going to choose; only 0.2 per cent of all paid apps get over 10,000 downloads, compared to 20 per cent of free and freemium apps. Only 15 per cent of developers would go native when building an app for multiple platforms, but 68 per cent would go hybrid or Web. The lower costs of hybrid apps comes from their HTML5 roots. Most hybrid apps are coded in the same base languages and then wrapped in native coding to allow for native style distribution. This means you can service all mobile devices by producing a single app. The hybrid method cuts working time and input cost down to a quarter of what it would be when covering all major app stores natively. You’ll also find that most developers are pro-HTML5 apps and you’re much more likely to find a developer that can deliver quality HTML5 content than one that can cover all of the major four native app languages. Once your app is written, companies like PhoneGap can produce the native app for you, just by uploading a zip file to their site. Hybrid apps also have the benefit of app store distribution. If you’re smart and host the app on the web, where it will be SEO compatible, and have it in the app stores, you’re doubling your possible audience while offering the same experience. The only issues faced by hybrid apps are consumer expectations. To have them compete successfully in the app store, your hybrid app will have to look and feel like a native app. This can mean several hours of tweaking and variation for distribution. Especially when the Apple iStore requires your app to look native and will reject ones that do not meet their criteria. Luckily, there’s a huge amount of resources for designers looking to enter the hybrid app world available online. Smashing Magazine, for instance, has a great round-up of resources for iOS, Android and Windows Phones. One of the most common complaints against the mobile web in the past has been its difficulty to monetise. This is no longer the case. Many ad networks provide mobile web and HTML5 game monetisation options. AdSpruce, for instance, offers HTML5 in-app advertising that offers an experience exactly like that in native apps. At this point, there shouldn’t be any arguing that all brands and companies need a mobile website. Smartphones now outstrip television as the definitive ‘first screen’, with some countries spending double the amount of time they watch TV fixated on their mobile devices. Mobile traffic is increasing globally and 57 per cent of online consumers split their shopping habits over desktop and mobile devices in December 2013. A well-designed mobile website acts as an effective landing stage for search engines and interested parties. 48 per cent of consumers start their mobile commerce journey via search engines and the next biggest group, with 36 per cent, starting at a company’s branded web page. This is a huge audience that can be easily lost if your site isn’t mobile navigation friendly. 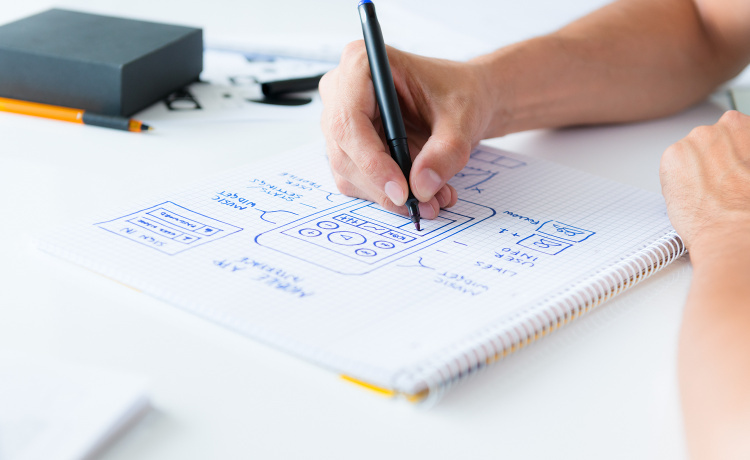 It’s imperative that if you’re considering taking the step towards an app and don’t have either a responsive site or a mobile site, you invest in one of them first. Despite what articles might lead you to think, well over half of all app users still use the mobile web. Barely anyone uses apps exclusively and ignoring this will cost you money! In many ways, both mobile web and mobile apps have identical benefits. Both have very little continual running cost, as they are not dependent on the core OS of the devices they’ll be browsed on. They’re also findable via search engine – which still remains the primary tool of mobile device users. Good SEO could get your web app, website and company better coverage than residence in any app store coil. Especially if you’re in a highly competitive industry. By producing a web app, you’ll also be in complete control of the app and its distribution. Taking it down, putting it up, changes and content included will be a case of your own discretion. You will not have to rely on an app store to approve your app or any of its updates or have it look native to the device. It’s as simple as altering the code and replacing the file. Out of all of the choices outlined in this post, mobile web is the easiest option to act upon with the fastest results. Creating a responsive site can be done by anyone with a basic knowledge of HTML and enough time to set aside a couple of hours a day to alter code. There are dozens of tutorials on how to update your site and on beginning HTML5 app creation. There’s also plenty of ready-made templates for both. If you go for a step beyond a custom-made mobile site, the price will go up but it won’t be anywhere near the prices you could find for a high-end native app. Think of this when sizing up the costs: When Jones Soda launched their mobile site, they saw their mobile sales go up 46 per cent. Plus, if you’re desperate to distribute web apps through an app store without hybridising, Amazon has a HTML5 app store for its Fire devices. With over 67 per cent of users saying they’d prefer to purchase from a mobile-friendly site, the first step should always be a mobile friendly website. That cannot be stressed enough. The days of ‘mobile web vs. mobile app’ are well and truly gone. A mobile website is now a necessity, whether it’s done through responsive design or a mobile-exclusive site. The more time it takes for you to make the switch (if you haven’t already) the more money you may lose out on. When it comes to apps, consider the needs of your brand and not the desire to have presence in everything. There are too many apps lurking in stores that are virtually worthless – gimmicks created in attempts to get a slice of the app popularity pie. If what you want can perform just as well on a web page, don’t waste resources that could be used more effectively. A well-designed website, some strong marketing and advertising, and a good social media presence can do better than having an app store product. If you can offer that much more, go hybrid or web. These types of app can offer the similar, if not identical, results to a native app at a much lower cost, with larger device cross compatibility.